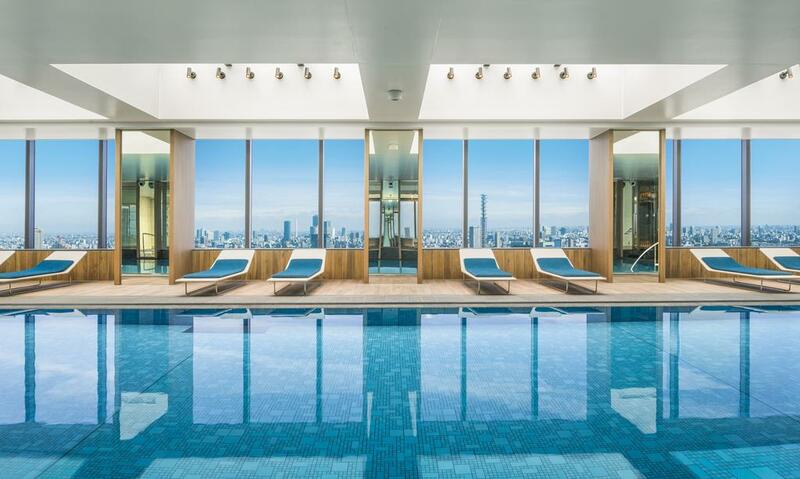 The Prince Gallery’s Kioicho Tokyo hotel is perhaps at first “hidden,” in the sense that you need ascend to the 16th floor in order to locate the lobby. Only a short distance from Akasaka-Mitsuke Station and directly connected to Nagatacho Station, the Prince Gallery Tokyo Kioicho has easy access to the dynamic capital. It’s also conveniently located near to an upmarket shopping and entertainment district, making it an excellent choice for being in amongst the action in Tokyo, whilst still treating yourself to the best in luxury and comfort. The hotel, which opened in 2016, is situated atop 15 floors of offices so it won’t come as much of a surprise that the rooms at the Prince Hotel all have splendid, unobstructed views. With 250 rooms and 11 suites, it is a large-scale, distinctly modern hotel, with much of the electronic and creative prowess commonly associated with Japan. 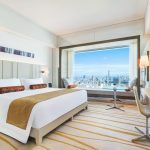 One of the hotel’s unique selling points is that it is not surrounded by any other tall buildings, meaning that the view from the hotel rooms is really quite spectacular, and like a tour of Tokyo in itself. 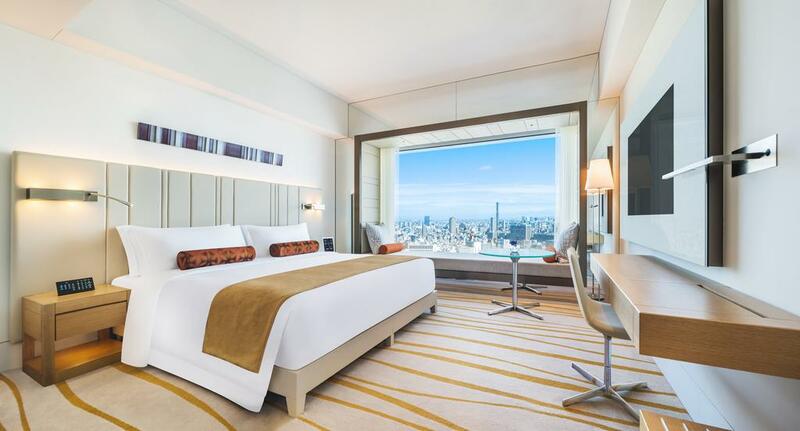 Rooms have one, entirely glass wall, with a long “day bed” in front of it, meaning you can sit and look out across the city for miles, right the way from Tokyo station to Shinjuku station, from the comfort of your own room. Even from the bathroom, as you soak in the bath after a long day of sightseeing, you can look out over the beautiful Tokyo skyline. Then, at the touch of a button, you can obscure the bathrooms glass and get changed in privacy. It’s little touches like these which make the hotel feel so luxurious. The staff and facilities here are excellent. One of the hotel’s selling points is the use of an iPad to control all of the room’s functions. Guests will find an iPad on the bedside table from which they can control the curtains, blinds and lights, as well as contact reception and request room service. 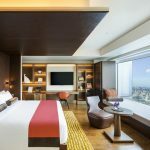 This certainly makes the hotel stand out in the sea of luxury hotels found in Tokyo, as it is currently the only hotel to offer this feature. I particularly recommend the Club Floor, with its excellent club lounge which serves complimentary food and drink throughout the day. I loved all of the dining options, and the food here is exquisite. There are many different cuisines available, with a real highlight being The Oasis Garden restaurant which serves Mediterranean cuisine. It has a fascinating, open kitchen and a large private room which was used by Prime Minister Shizo Abe to host his birthday party! As if the views were not enough to persuade you to stay, the hotel boasts an excellent range of facilities. For the exclusive use of adults, the indoor swimming pool offers the same unrivalled views as the rooms. 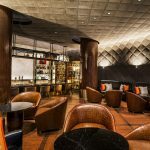 Another of the hotel’s stand-out features is its bar, complete with nine-meter-high ceilings. 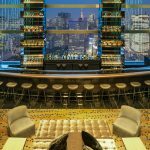 This open space, backed by the dazzling lights of the Tokyo skyline, hosts a DJ night every Friday night. During the day, guests can come here to enjoy the hotel’s unique take on Afternoon Tea, “Sushi High Tea,” which is immensely popular, and beautifully presented. 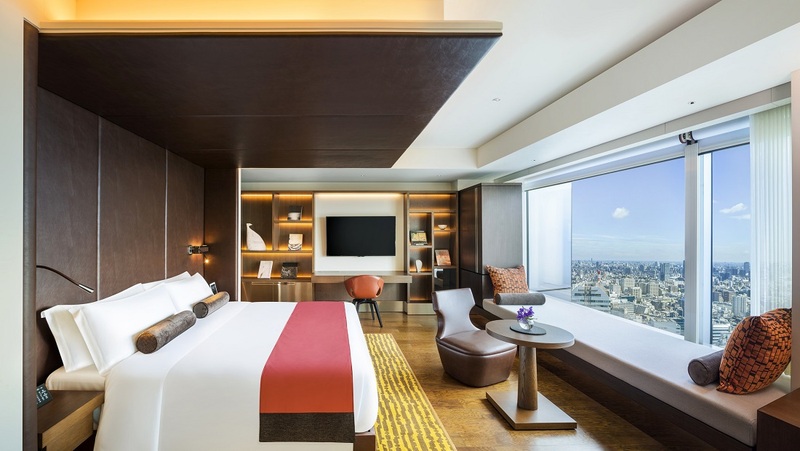 When in Tokyo, a stay at The Prince Gallery is a must - you won't find a better view!